On Thursday the 30th of April 2015, I stepped off a taxi coming from the Bree taxi rank in order to make my way toward the MTN taxi rank. I was coming from Greenside, where I work as an intern for a consultancy firm. Immediately, as I stepped onto the curb, I was stopped by an aggressive tap on my shoulder followed by loud commands of “Eh, I said stop”, “You must respect me”, “Look me in the eye” – from two black women. I steadied myself quickly and realised that one of the women, the taller one, was dressed in the navy official uniform of the South African Police Services. The shorter one, with a bob-cut weave, was wearing an orange golf T-shirt and a reflective warrant officer vest. She was holding a clipboard and pen. They both had a threatening but smug look on their faces, like they had just caught a big fish. I panicked. In my now 19 years of living in South Africa, I had never been asked this question. I didn’t have my passport. I don’t walk around with it. I did have my green book – my stamp of legality, the document that guarantees my status as a permanent resident of South Africa. I took it out, handed it to them and felt like I had narrowly escaped doom. Until a week before, I refused to carry my ID with me, for fear of losing it given how hard it was to get in the first place. My ID was handed back to me. The two women seemed disappointed. Maybe I imagined this. I moved to South Africa when I was three years old. I am now 22. I am Zimbabwean and my parents moved to the City of Gold in 1995 to realise what, for many Zimbabweans then, was the real potential of a South African dream. My first experience with xenophobia was in primary school in the early 2000s. Names such as “Kwerekwere” and “Girigamba” were pelted at me like stones by children both my age and skin color. Even as a child I knew that these terms were meant for a select few. They were used to “other” and alienate foreigners of a specific kind. While the white French foreign student who visited was welcomed with curiosity and admiration, I, a black African child, was labelled Kwerekwere. I was taunted and excluded. Throughout the rest of my school career, I experienced a dizzying identity crisis. In junior high, I spent time dreaming of living in Soweto, Diepkloof, maybe Orlando. In this imagined life, I spoke fluent Zulu. My friends and I took a taxi to Ghandi Square or MTN taxi rank to get home. I arrived at school on Mondays with news of Thabo, the boy from the opposite street, and how he asked for my number over the weekend. If anything, this dream bears witness to how profoundly I longed to become a South African citizen. Simply to belong, wholly and indisputably. By the time I entered grade 10 in 2008, my delusions had been completely dashed. In May of that year foreigners were violently assaulted in the Johannesburg township of Alexandra. Ernesto Alfabeto Nhamuave was set alight and became known as “the burning man.” The image of him on his knees and wrapped in flames appeared almost everywhere. Pieces of land along highways in Johannesburg, Olifantsfontein and Midrand became lined with rows and rows of UNHCR refugee tents for the displaced and vulnerable. Young boys and girls in my grade huddled in the cold autumn/winter mornings before class. There were conversations that sometimes involved making ‘arguments’ for why black, lower-class and African foreigners earned the contempt they were experiencing. I was made hyper-aware of my identity as a black Zimbabwean. I wanted to simultaneously lash out and dissolve. I felt convicted in the symbolism of my decision to have taken Afrikaans instead of Zulu as my second additional language. I felt frustrated, angry, disappointed, rejected. 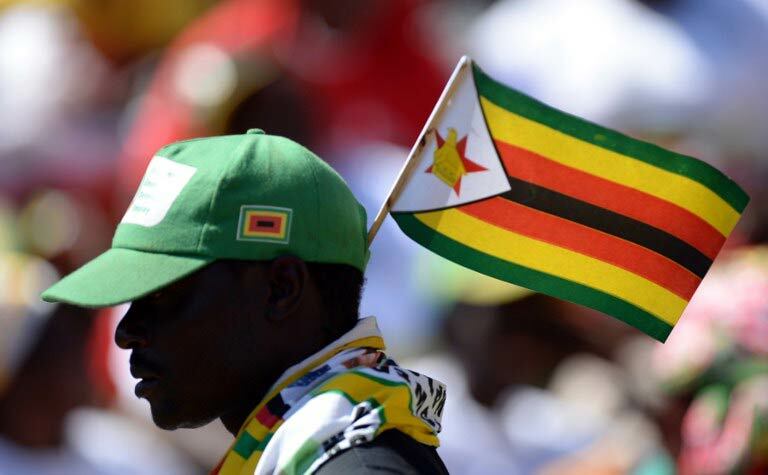 Today, I proudly identify myself as a Zimbabwean and choose to describe myself as a Zimbabwean who grew up and lives in South Africa. I fully acknowledge the influence that being raised in South Africa has had on me. Given my familiarity and extensive experience in the country, it is, in many ways, home. Zimbabwe is, however, where I feel rooted, where I belong. I feel a responsibility to return there at the earliest opportunity in order to reacquaint myself with my country and contribute to its development. My identity crisis has, in effect, been resolved. I recently read a paper by Michael Neocosmos –The Politics of Fear and the Fear of Politics: Reflections on Xenophobic Violence in South Africa – in which he addresses the reasons for these xenophobic attacks. While xenophobia in post-apartheid South Africa is generally understood in terms of economics, there is good reason to believe that it is a product of political discourse and ideology. Neocosmos points to “state or government discourse of xenophobia, discourse of South African exceptionalism and a conception of citizenship founded exclusively on indigeneity”. The reckless and quite frankly deplorable statement made by King Goodwill Zwelethini in which he called for all foreign nationals to return to where they came from is a prime example. It demonstrates the power that leaders wield in terms of influencing the perceptions and actions of certain groups in society toward African migrants in the country. I remain disillusioned and disgusted by the poor show of leadership and lack of both urgency and agency displayed by key government officials and the president himself when it came to honestly and effectively addressing the recent xenophobic violence. An honest dialogue on why African foreigners are specifically targeted in xenophobic attacks in this country will not occur until the role that leadership plays in sparking, influencing, curbing or dealing with xenophobia is understood. The fear/dislike of and violence against African migrants is not a new phenomenon in South Africa. The March 2015 attacks are also not likely the last we will see. That’s why it is important to address the role of leadership in the perpetration of xenophobia. MTN Taxi Rank and Bree Taxi rank are two of the main taxi terminals in the Johannesburg CBD. A derogatory term used in South Africa to refer to foreigners, particularly from Zimbabwe. This post was first published on Brittle Paper, an African literary blog featuring book reviews, news, interviews, original work and in-depth coverage of the African literary scene. It is curated by Ainehi Edoro and was recently named a ‘go-to book blog’ by Publisher’s Weekly. The death toll from the capsizing of a boat carrying migrants off the Libyan coast on the weekend has hit 800, and could reach 950, according to latest reports, piling pressure on European governments to respond to the rising migrant boat tragedies in the Mediterranean. Amnesty International described the capsizing as a “man-made tragedy that could well have been avoided”, and along with other humanitarian groups is calling for increased sea patrols. As springtime brings calmer seas, there is likely to be an increase in the number of crossing attempts – and more deaths. Already, more than 1 600 migrants have died in the Mediterranean since the beginning of 2015. But looking at the broader social, economic and demographic forces driving the crossings, sadly, the drownings are likely to be the new normal. 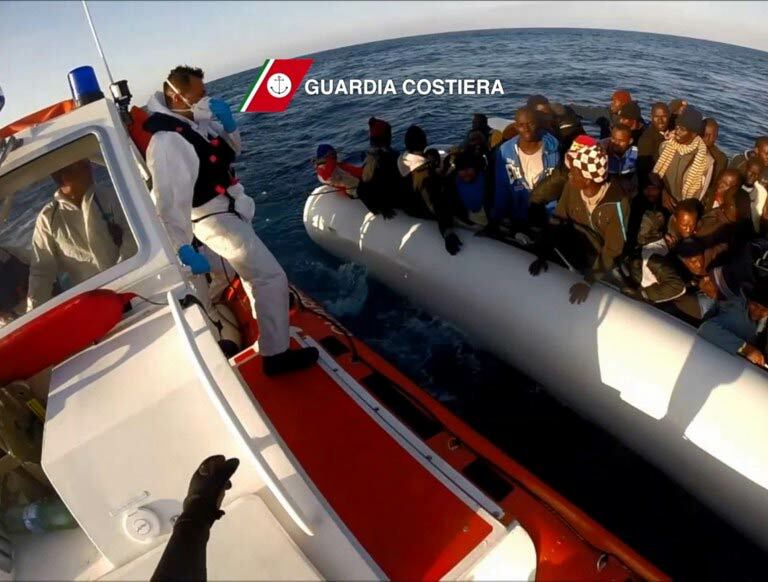 In 2013, when 350 migrants died under similar circumstances, the Italian government put into place a navy search-and-rescue operation known as Mare Nostrum, which patrolled the Mediterrenean and responded to distress calls. But it soon emerged that search-and-rescue actually seemed to be inadvertently leading to more deaths – cynically, human traffickers responded to the patrols by packing even more migrants off, knowing that they would be rescued in case things go awry. In the past year alone, there have been a four-fold increase in drownings, and Italian authorities have rescued about 100 000 migrants at sea. Italy scaled back the mission after failing to persuade its European partners to help meet its operating costs of $9.7 million per month, and now does not do search-and-rescues directly, but asks merchant ships in the area to respond to the calls. But with the latest tragedy, the calls to reinstitute Mare Nostrum are getting louder. 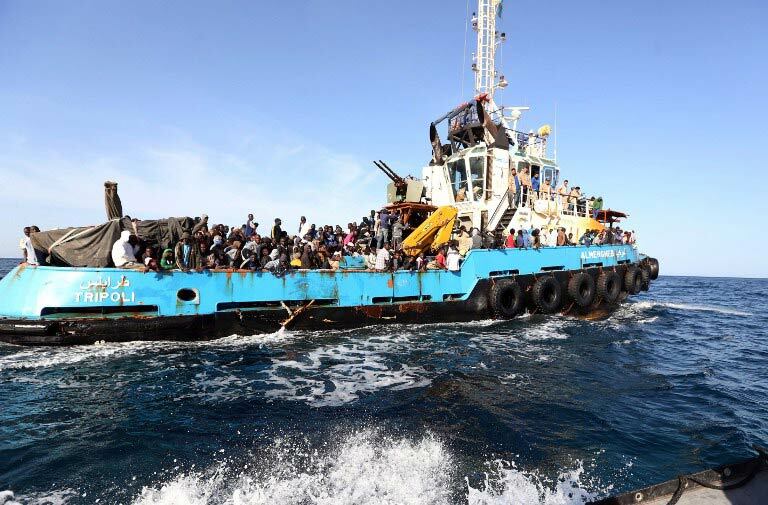 According to the statement from Amnesty, the boat had sent a request for help to the Maritime Rescue Coordination Center in Rome; the centre requested a Portuguese merchant vessel to attend the call, but it did not get there in time. German newspaper Süddeutsche Zeitung at the weekend denounced the EU as a ”union of murderers”, accepting the deaths of refugees in the hope of discouraging other refugees from following them. The tragic drownings in the Mediterranean get much media coverage, but African migrants are small fraction of the people trying to get to Europe every year. Data from the UN’s World Migration Report shows that just 12% of migrants into Europe are from Africa, the majority (52%) are from within Europe itself, largely Eastern Europe and the Balkan states. Even among the victims of human traffickers into Europe, the UN’s Global Trafficking in Persons report shows that 17% are from Africa, mainly West Africa (14%) and 3% coming from the rest of sub-Saharan Africa – nearly two thirds are from Eastern Europe. Despite the popular calls to stop the migrations, Europe is currently ageing and shrinking fast, and so has a high demand for people. Germany and Italy are the second and third-oldest countries in the world at the moment, with half the population older then 44 years. On the other hand, Africa is young and growing, with nearly every country in sub-Saharan Africa having a median age younger than 20. Furthermore, tough austerity measures in much of southern Europe creates a demand for cheaper workers, and Africa can easily fill that gap by hopping across the sea. In Italy, for instance, 85% of Cape Verdean immigrants are women, mostly working as domestic workers. But the politics in Europe has swung to favour the far right, anti-immigrant parties. In France, far-right National Front (FN) has had its best showing in years winning 12 French towns, two seats in the Senate, and top position in the European Parliament elections in 2014 elections. The populist anti-immigrant Finns party, formerly the True Finns came second in general elections on Sunday and is likely to be part of the new government in Helsinki. In the UK, the anti-immigrant UK Independence Party (Ukip) is also gaining some ground. So there’s a strong demographic and economic demand for immigrants, but loud political opposition to it. Will it mean the end of the flow of immigrants? No. It only means that the market for illegal, rather than legal, migration will grow, and sadly, the drownings in the Mediterranean are likely to become the new normal. Despite the common portrayal of the migrants as desperately fleeing poverty, the data suggests otherwise. 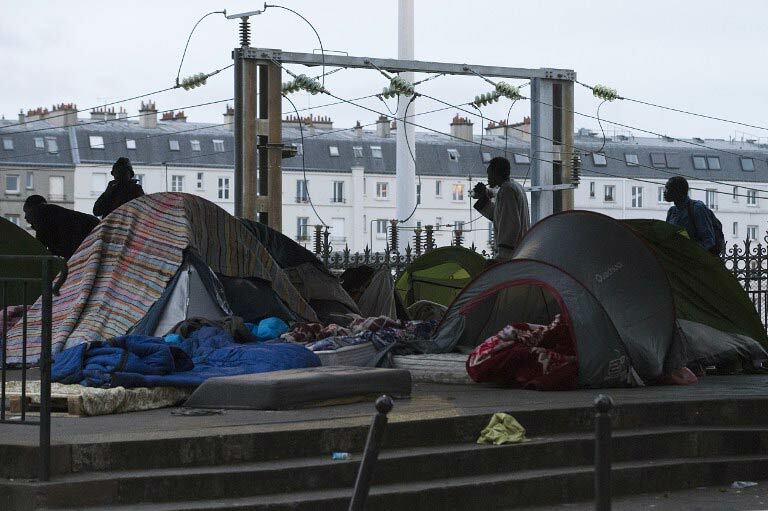 Although it appears they are generally less wealthy and less skilled compared to the migrants who directly go to France, UK and the US on student and work visas, they are rarely from the most destitute families. Research indicates that migrants tend to be from moderate socio-economic backgrounds and are often from urban areas in their countries of origin. A substantial proportion has secondary or higher education. With human traffickers charging between $700 and $3 000 for a place on one of the Mediterranean boats, it’s not the kind of fee poor people can afford. Rather than fleeing poverty, migrants tend to move either “because of a general lack of perspectives for self-realisation in their origin countries and the concomitant inability to meet their personal aspirations,” says this research paper, partly driven by a greater awareness of the possibility out there, mediated by the recent explosion in mobile and Internet access. Although women and girls comprise the vast majority of detected victims worldwide, women are also prosecuted and convicted of the trafficking crime far more often than for most other types of crime. Some 30% of convicted traffickers worldwide between 2010 and 2012 were women, whereas the average female conviction rate for other crimes is usually in the region of 10-15%. The United Nations Office on Drugs and Crime (UNODC) said many of them act as guards, recruiters and money collectors, to gain the trust of victims; women involved in human trafficking operations are often in close contact with the victims, whether it is recruiting them, deceiving them or transporting them. Women are also more likely to be convicted of trafficking. Given that many investigations are based on victims’ testimonies, these low-ranking female traffickers who have contact with victims are most likely to be identified and convicted, while the men at the top of the chain are rarely seen or known by the victims. Christine Mungai for MG Africa.